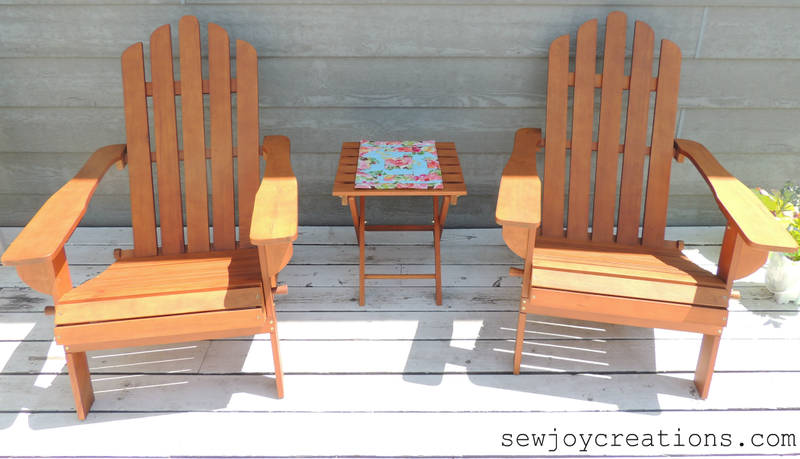 Sew Joy: Table Runner Challenge Met - Times Two! 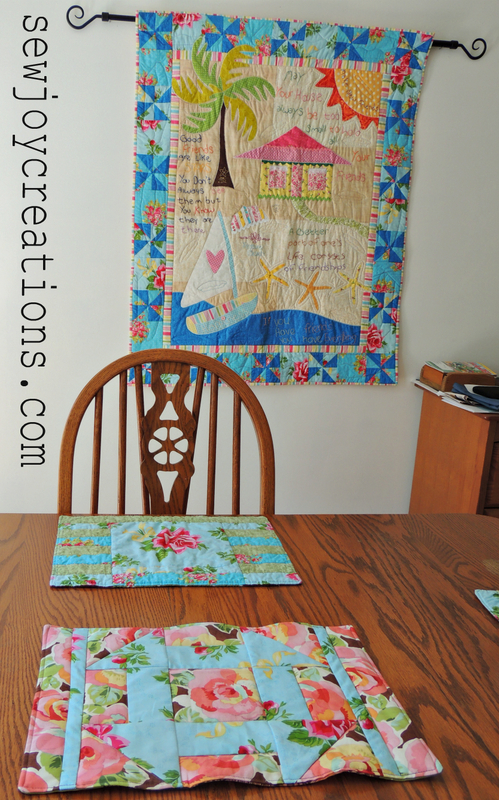 Table Runner Challenge Met - Times Two! Seldom does Pat Sloan issue a challenge that I don't take on! 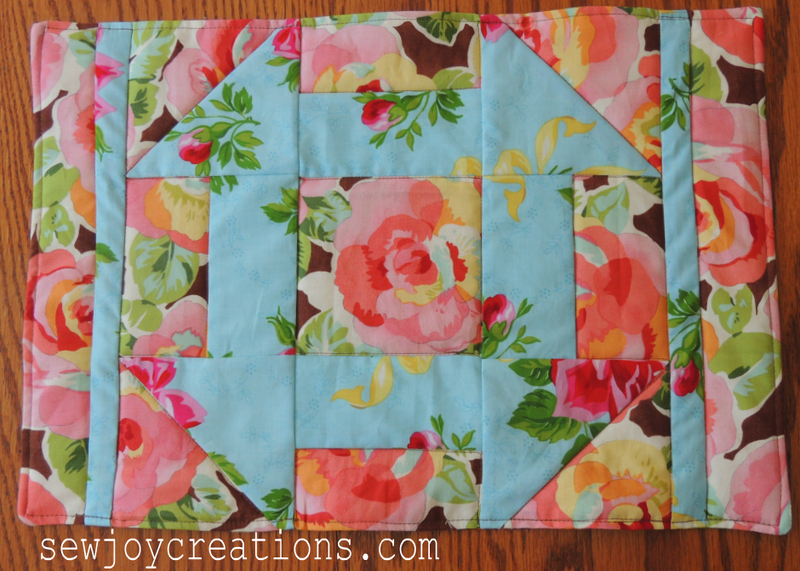 Who can blame me when she makes such great patterns:) This challenge was a table runner challenge using one of her patterns. Since I've started to really follow my own advice and use my Visual Project List Board to stay focused and work on the projects that I really really really want to finish, I haven't been joining in with everything I find on the internet that looks fun! BUT some challenges are really tempting! And when I could talk myself into making a runner out of the cute snowman that I've loved since I saw him and bought the book, and that I could gift the runner so that it would be useful, I couldn't resist! 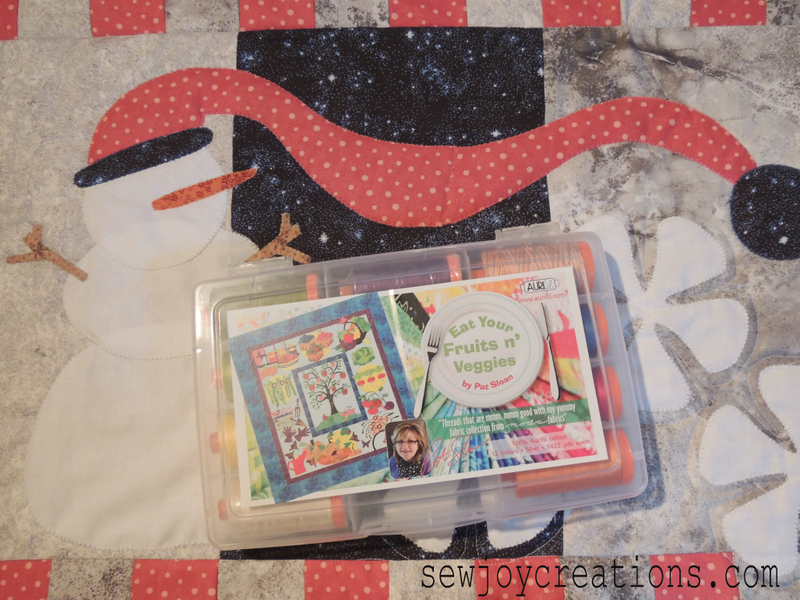 I used several of the Aurifil threads I won from Pat from her Eat your Fruits n' Veggies line - I love that quilt too! I used the orange, brown, pink and blue. Check out Pat's post with links to all the educational videos she's made about Aurifil Thread. 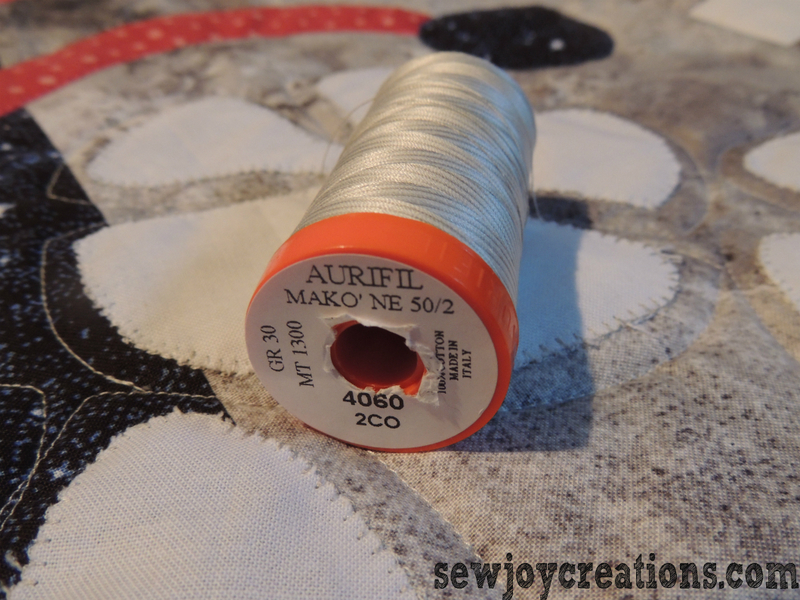 For the white and greys I used this variegated grey Aurifil, which I believe I won from Scott Hansen of Blue Nickel Studios. 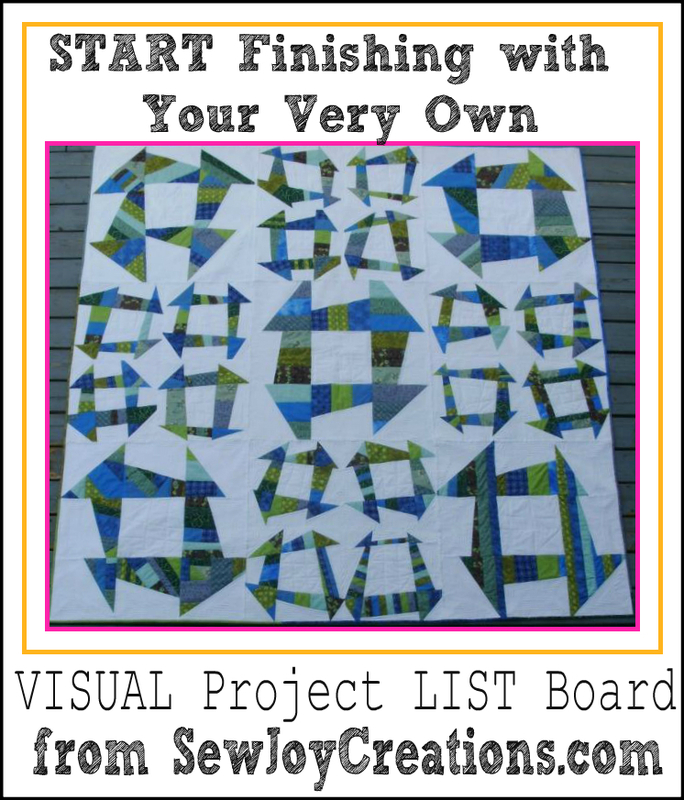 Love variegated thread! Okay. So that's one table runner done. 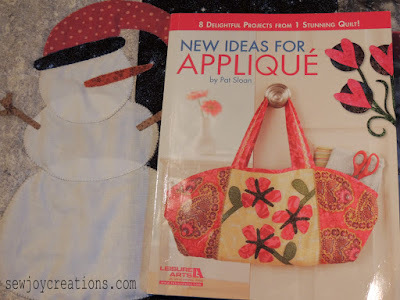 Funny thing is, this one was very involved: I needed to figure out some alternative applique methods because I'm all out of heat n' bond fusible. Instead I traced the bigger shapes onto freezer paper and ironed them onto the fabrics to cut out. 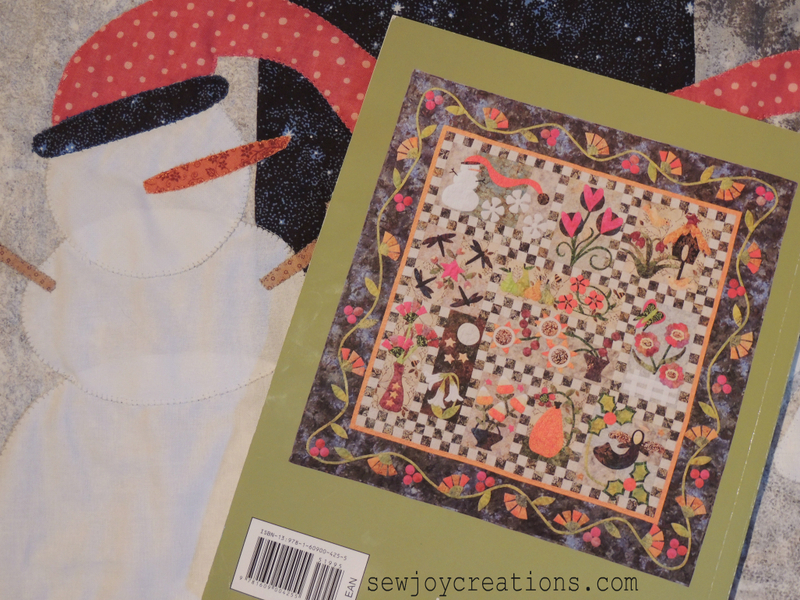 For the smaller pieces I used Misty Fuse and fused the fabric then cut out the shapes. So this was not done in one day! In the mean time. . . 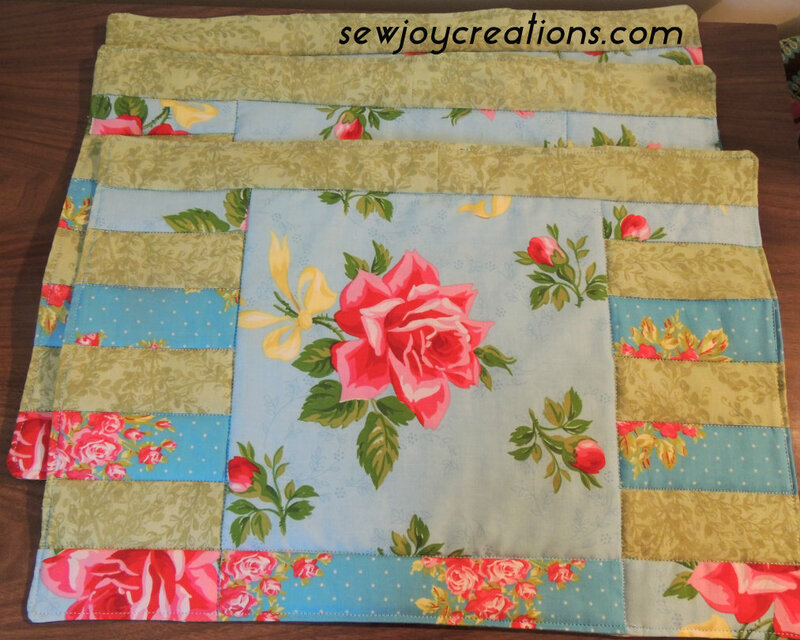 I remembered that I had one more Bold Delight place mat finished that was to go with this set of Striped Delight mats. 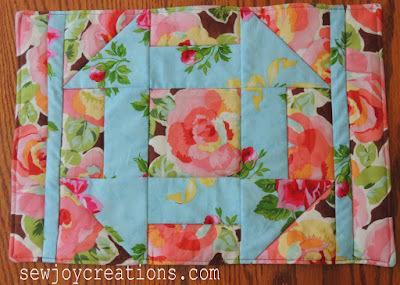 I even had some of the rose fabric wrapped into a cut piece of batting waiting. I realized I could use one of Pat's Vacation Time blocks and make another runner speedy quick! 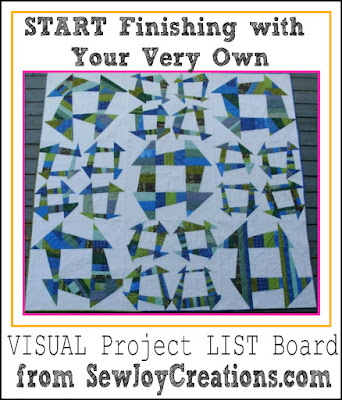 So here's my SECOND runner for the challenge - Pat's July Vacation Time block with additional borders added. While it might be a little on the small side, it fits perfectly on my little table with my Adirondack set on the back porch! 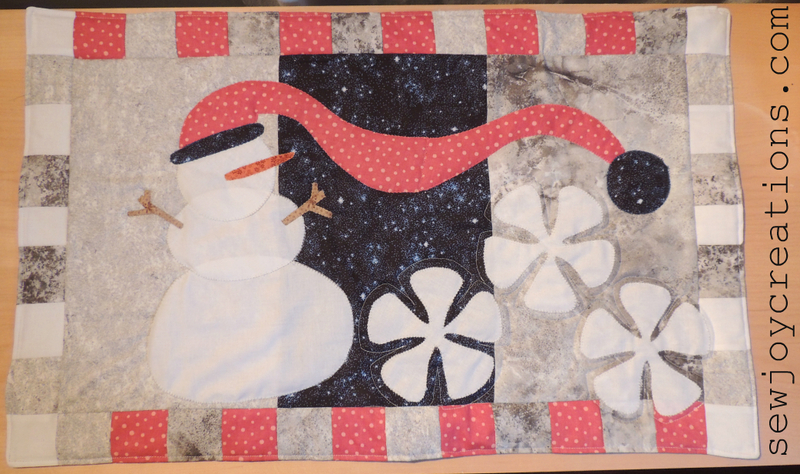 And the whole reason I remembered I wanted the runner done was because it was finally time to put up my Happiness Key quilt - another Pat Sloan project! - which my place mats match. Definitely a fun distraction that produced two functional pieces of art! 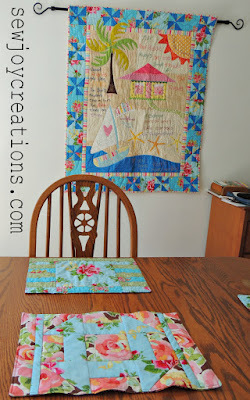 You can see all of the table runners made from Pat's patterns and get inspired here.